"Dr. Shaunda Thomas and her staff are the most amazing people in the dental industry. I cannot say enough wonderful things about them. Typically, it's not a good thing when you have to visit a periodontist because it likely means you have periodontal disease or some other gum related issues. In my case, my general dentist (who I had been seeing for almost 3 years) completely missed the fact that I had advanced periodontal disease resulting in BONE DECAY at my jawline. Dr. Thomas has taken wonderful care of me over the last year and I couldn't be happier with the results. I lost quite a bit of bone and as a result gum tissue as well, but she saved my teeth. I can't begin to tell you how important that is. she SAVED my teeth. Being 27, that's HUGE. I have my parents to blame for the wonderful genetics that blessed me with a predisposition to periodontal disease, but I can't thank Dr. Thomas and her staff enough for saving my teeth. 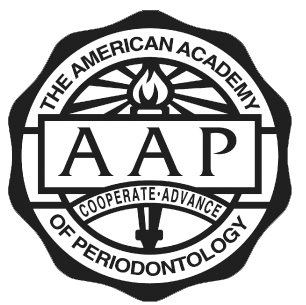 If you need a periodontist, don't go anywhere else. Go see Dr. Thomas." "I had bone and tissue reworked to repair damage to my upper jaw from an auto accident. (I've had this procedure done unsuccessfully by another periodontist in the past, so that left even more scarring.) It was a major procedure and completely successful. After the pain and expense of a failed procedure in the past, I am VERY HAPPY to have it accomplished." "Dr. Thomas said she did not do implants or I would have selected her to do mine. She was extremely helpful in reviewing the implant treatment plan I was given by another periodontist. In this case, she was a critical component in my review of a treatment plan that was unintelligible to anyone but a dentist. Dr. Thomas goes beyond the pale in translating important dental information to patients in terms easily understood by a layperson. The educational approach to treatment is positively correlated to effective treatment in my opinion."